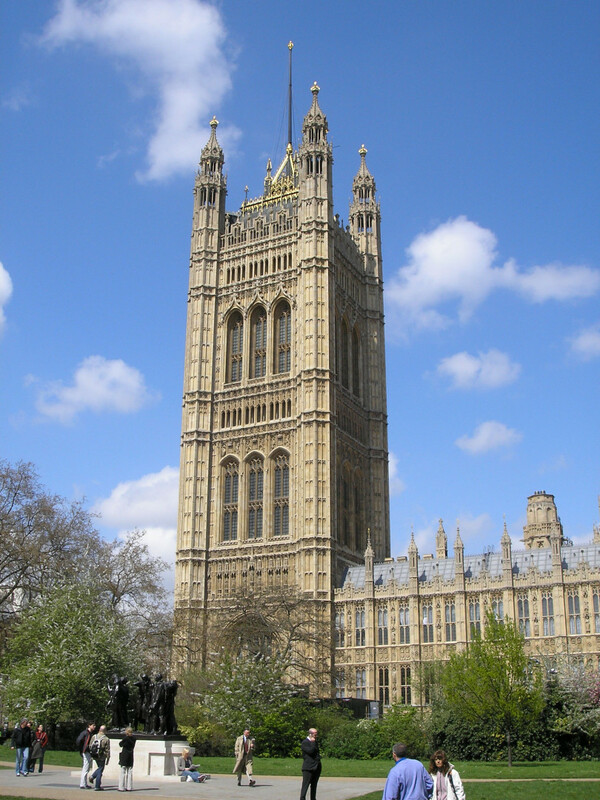 Victoria Tower is a world heritage site and the tallest and largest stone square tower in the world with a height of 98.5 metres. 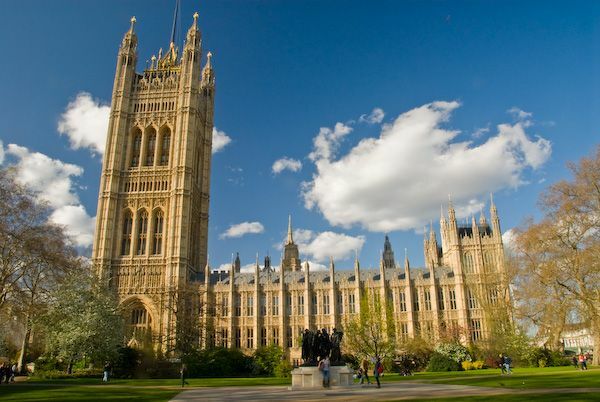 It was originally designed as a ‘Royal Entrance’ but is now home to the official Parliamentary Archives. 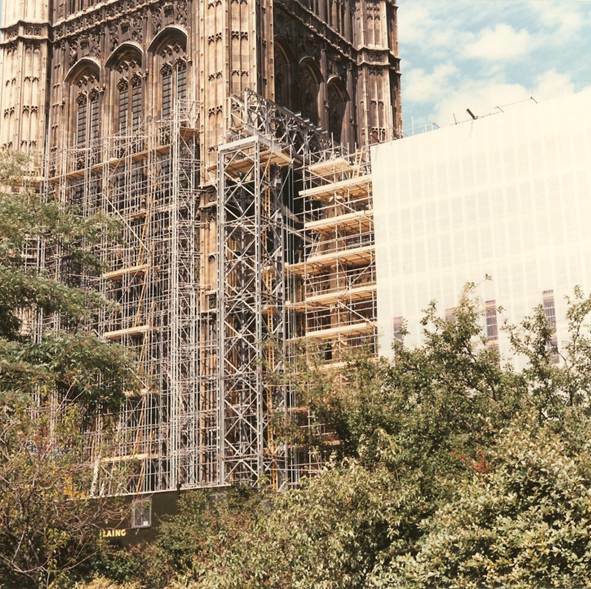 Restoration of the tower was a 4 year process and required over 68 miles of scaffolding tube to provide access to replace 1,000 cubic feet of decayed stonework. 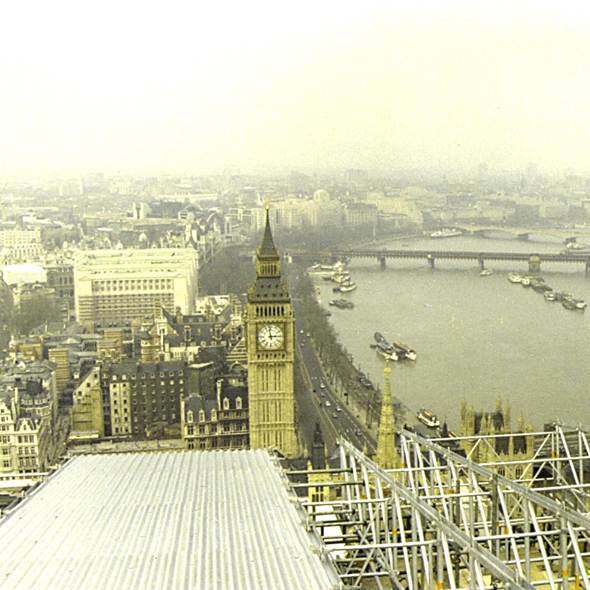 At the time PHD’s scaffold solution was the largest independent scaffold in Europe and the highest temporary roof in the UK. 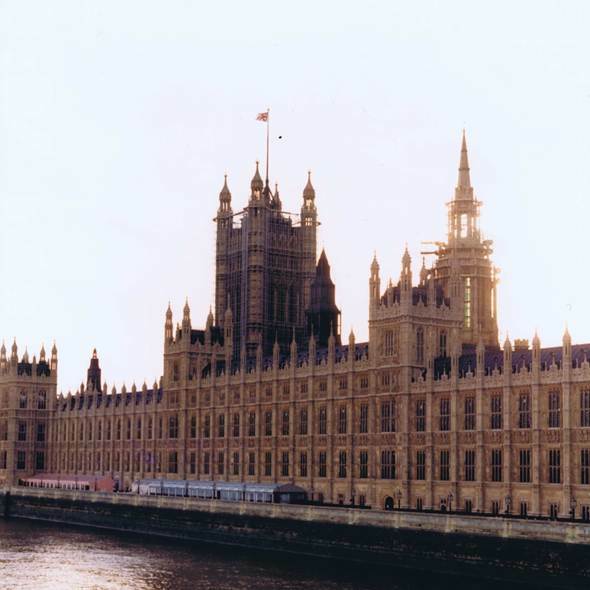 The strict project criteria demanded no ties were used and the fabric of the building could not be touched. 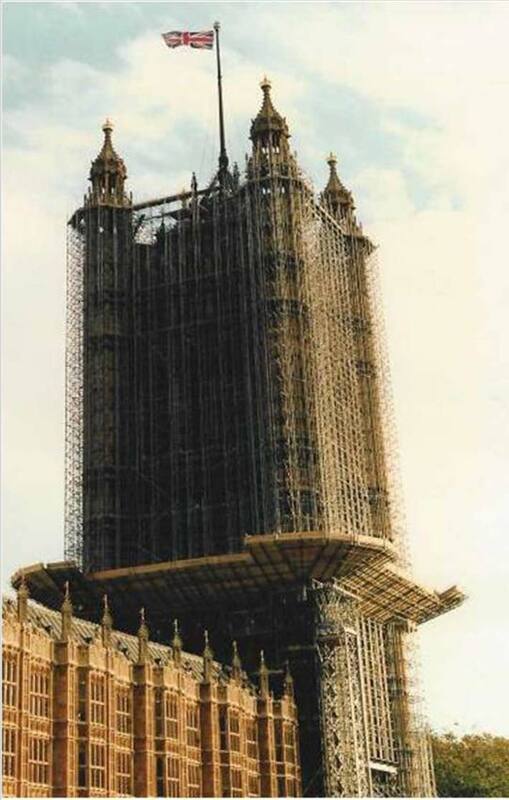 PHD could not put any load from the scaffold onto the ground as this could destabilise the tower. 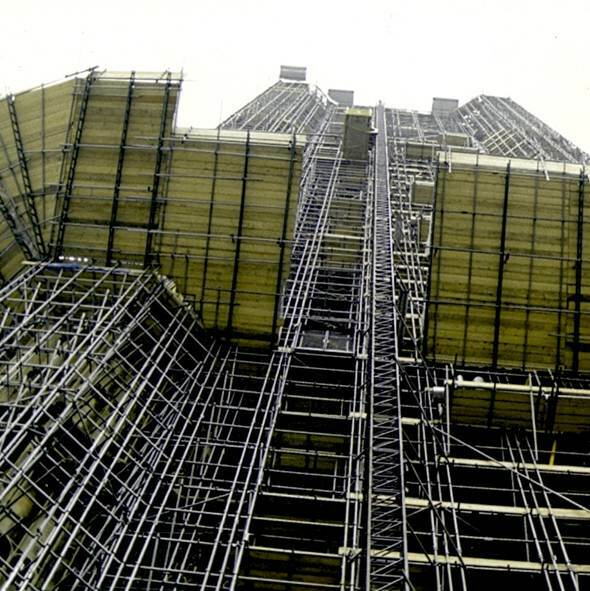 An innovative system of piles was therefore designed, strategically placed to a depth of 26m. 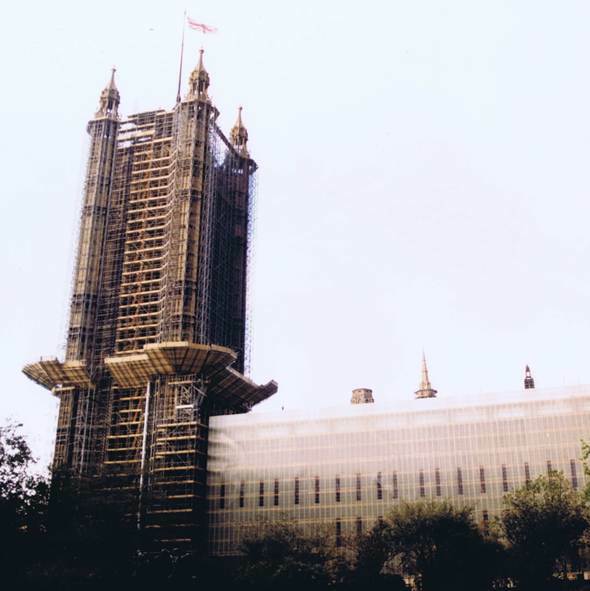 Three military truss towers were erected to carry the primary scaffold. 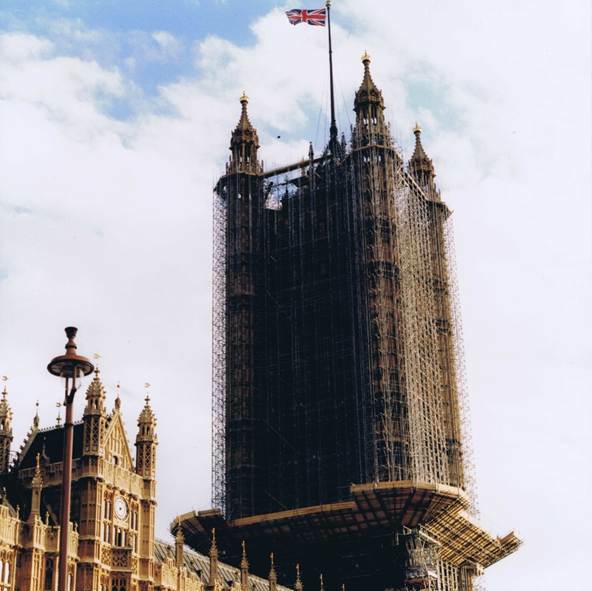 Scaffold could not be attached to the adjoining House of Lords, so two 45m truss spans were used to bridge over the lower buildings. of 26m. 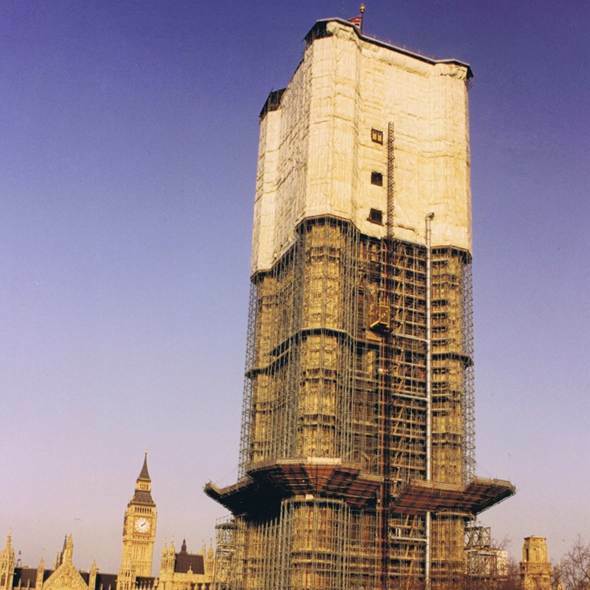 The freestanding scaffold height was 126m high. Stability was achieved via a system of plan braces and 20mm guy wire ropes strategically placed diagonally over the parapet level. The vertical standards had to be tripled to carry the loads imposed. 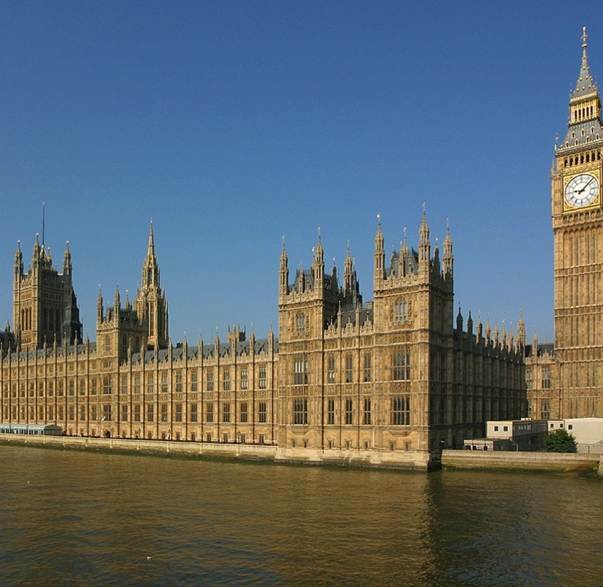 PHD also conducted the lifting operation and traffic management system which involved closing off Parliament Square and the adjoining streets to enable a 500 Ton Demag brought in from Belgium to complete the lift.